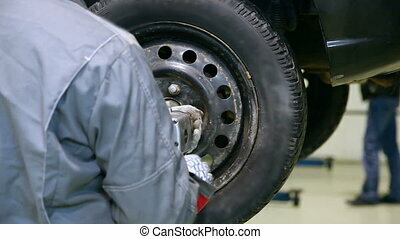 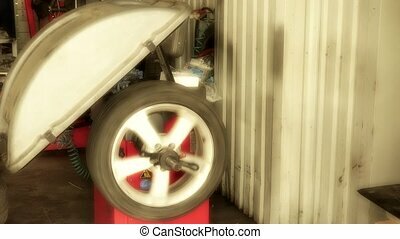 male mechanic balancing car wheel on balancer machine in repair service. 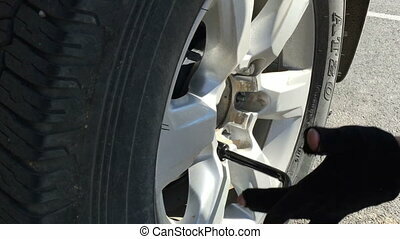 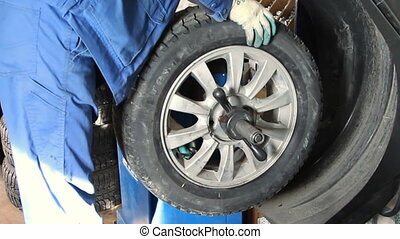 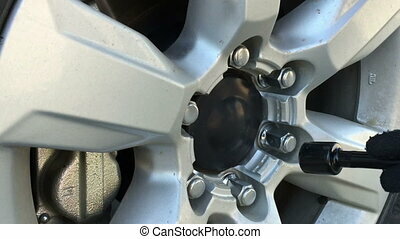 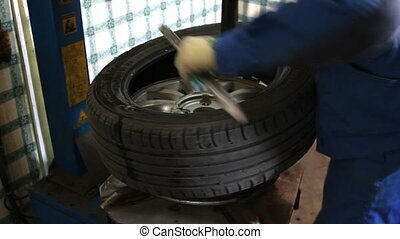 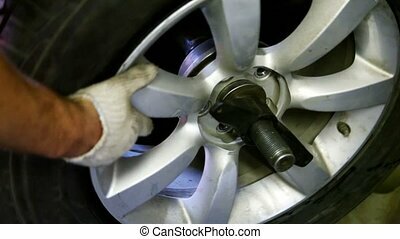 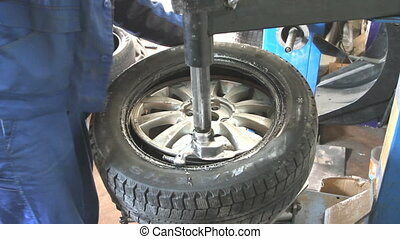 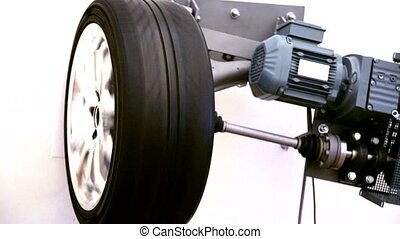 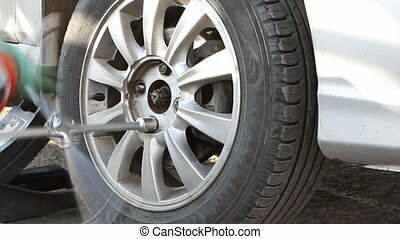 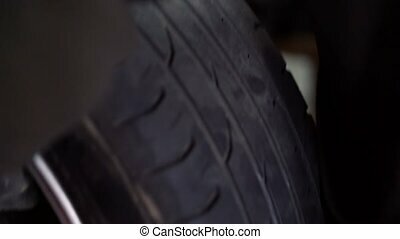 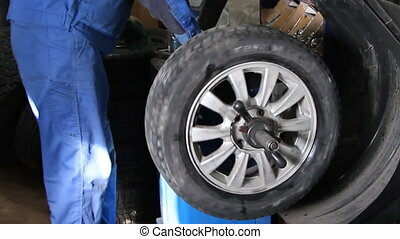 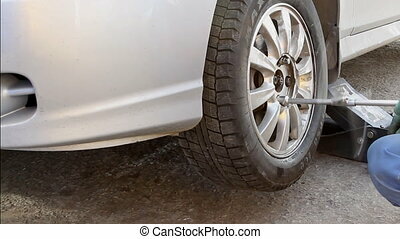 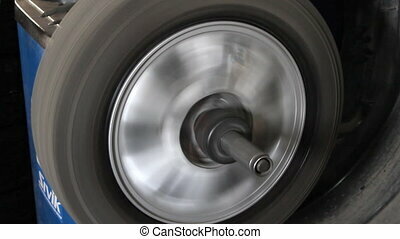 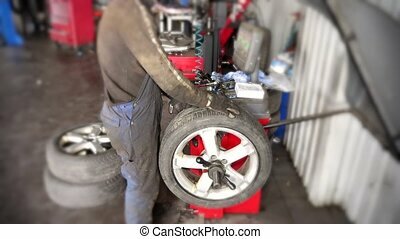 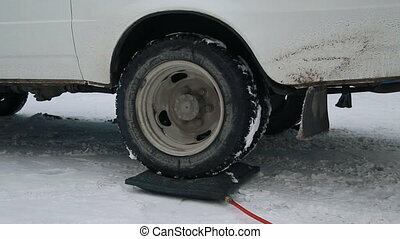 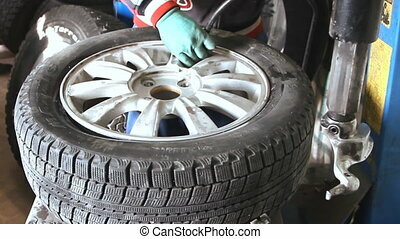 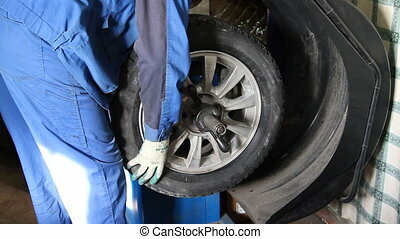 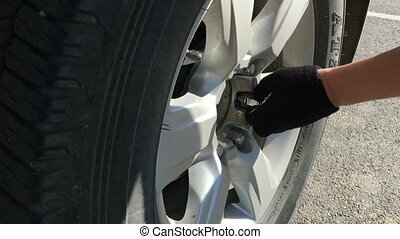 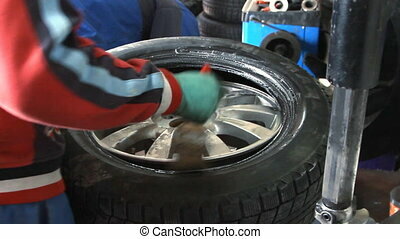 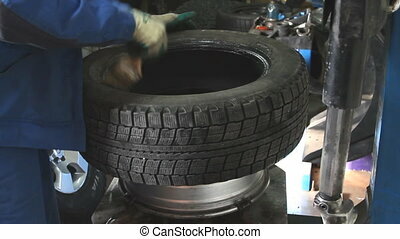 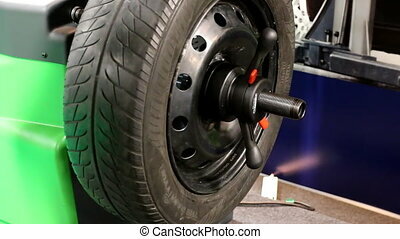 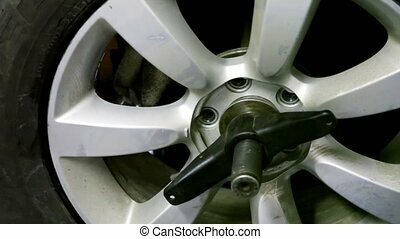 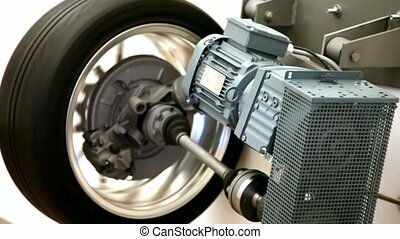 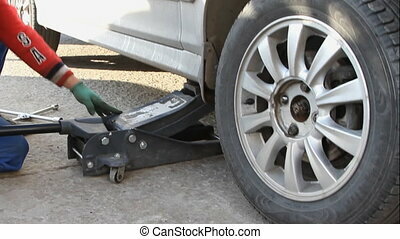 automobile wheel balancing in auto service. 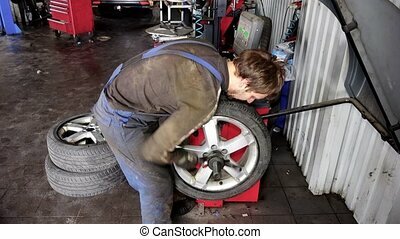 car repair garage. 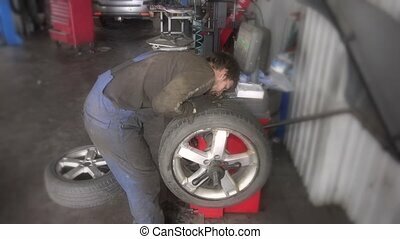 Volgograd %u2013 November 01: Mechanic inflating car tire closeup, Tire center U PAROMA, Volgograd, Russia. 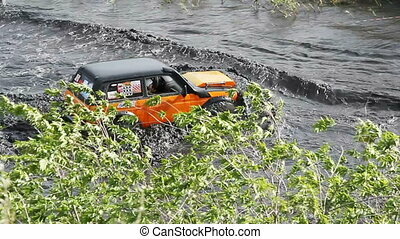 November 01.2012.